Verus offers Infrastructure as a Service (IaaS) to help free you from managing your own physical data center while still maintaining control of your virtual network. Instead of your IT staff worrying about uptime or disaster recovery, let Verus IaaS solution provide you with greater scalability, higher security, and peace of mind. Verus has perfected our IaaS offering by forming best of breed relationships with vendors for all the components, which includes data center, firewall, storage, backup, disaster recovery, and connectivity. In 2015, Verus began the shift of moving its primary data center from its facility in Fridley to the newly expanded Cologix Data Center at the 511 Building in Minneapolis – the heart and soul of data for Minnesota and the Midwest. This is the centerpiece of the Verus IaaS solution. One obvious benefit of moving to the IaaS model is that you can lower your infrastructure costs significantly. You no longer have to be responsible for ensuring uptime, maintaining hardware and equipment, or replacing old equipment. Additionally, you won’t need to worry about buying more capacity to cover spikes in your business. 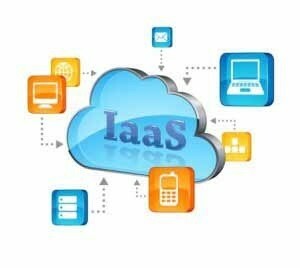 Scalability and flexibility are two other key advantages to the IaaS solution. This is a result of Verus designing a state of the art data center which provides storage, servers, and networking technology to accommodate your ebbs and flows to your specific business needs. This means you have access to on-demand scalability that gives you greater agility and added flexibility. Verus IaaS gives you the support you need for data recovery, business continuity and high availability. IaaS provides a consolidated disaster recovery infrastructure, which reduces your costs while increasing your manageability. Using Verus IaaS solution gives you the added benefit of beating your competition to market.